The dawn of a New Year typically leads to reassessment – disaffection with the current situation is repressed or ignored in favour of the displacement activity of decorating, shopping, cooking, and generally over indulging, culminating in a huge drunken blowout on New Year’s Eve. The shame and self loathing that inevitably follows gives the previously suppressed disaffection a route back to the surface. The urge to change something, anything, everything is hard to resist. Different must be better, we reason, in the face of all the evidence of the last couple of years. The New Year doesn’t have to lead to major, risky upheaval – learning new skills can scratch the change itch and there’s pretty much no downside. Even if you learn something you don’t use, it hasn’t made anything worse, but more likely you’ll learn something useful for when you next feel the need to switch jobs – skills=choice. If, like me, you are working in the Salesforce ecosystem, Trailhead is the obvious place to start. 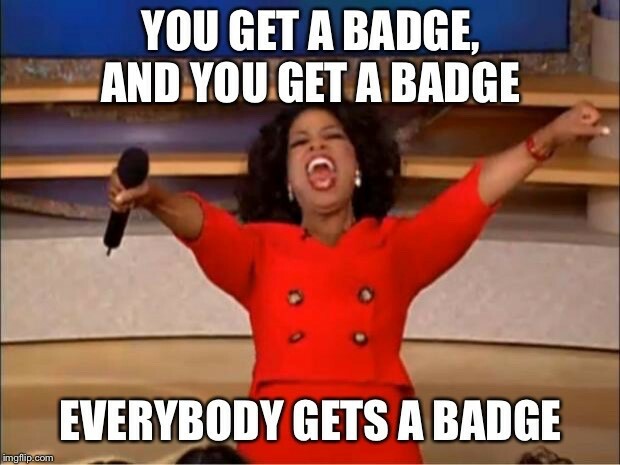 There’s 500+ badges across pretty much the entire product set. If your focus is on learning something, rather than just increasing your badge/point count, choose the modules with the hands on challenges, as you’ll have to apply the knowledge imparted to you before receiving the badges/points. If it fits with your learning plan, earn the superbadges, as you’ll have to implement a solution based on a set of requirements rather than be guided to the solution. If you like to apply pressure to yourself for extended periods of time, there’s always challenges like Trailhead Advent Calendar or 100 Days of Trailhead around – personally I prefer a more geurilla based approach of earning 30 or 40 badges in a week, usually after a Trailhead release, and then none for a while, sometimes until the next release, because they really aren’t that far apart these days. So if you are looking to change something this New Year, think about enhancing your skill set. It’s the no-risk, win-win option! I’m better known in the Salesforce community as Bob Buzzard – Umpteen Certifications, including Technical Architect, 6 x MVP and CTO of BrightGen, a Platinum Cloud Alliance Partner in the United Kingdom who are hiring.